This pilgrimage will explore all the sites connected to the lineage of S.N. Goenka. This includes monasteries, pagodas, caves, ordination halls, and other places that are related to the lives of Ledi Sayadaw, Saya Thet Gyi, Webu Sayadaw, and Sayagyi U Ba Khin. This pilgrimage will feature a special guest, the American monk Bhikkhu Obhasa. 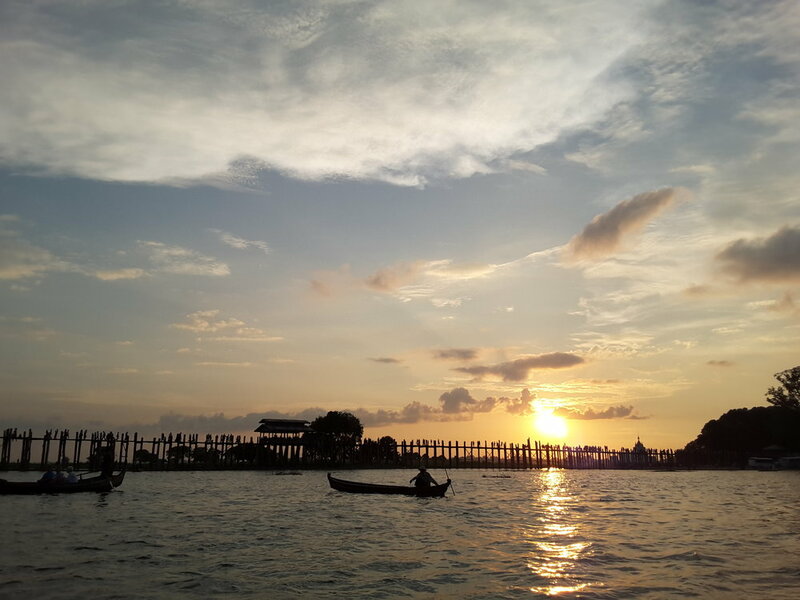 Pilgrims will spend every night of this trip at Burmese monasteries. This pilgrimage will explore all the sites connected to the lineage of S.N. Goenka. This includes monasteries, pagodas, caves, ordination halls, and other places that are related to the lives of Ledi Sayadaw, Saya Thet Gyi, Webu Sayadaw, and Sayagyi U Ba Khin. Suitable for beginners as well as experienced meditators, this pilgrimage provides an extensive overview of a number of special Buddhist sites throughout the country. 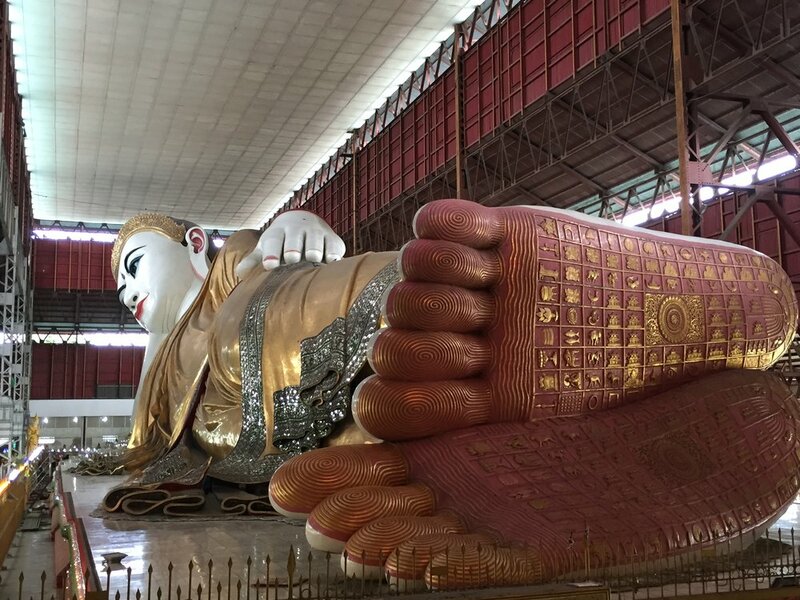 Pilgrims will explore far off the beaten track as they learn the history of these places and how they have contributed to contemporary Burmese Buddhism. This pilgrimage will feature a special guest, Grahame White, a renowned meditation teacher from Australia. Myanmar Pilgrimage can custom-design trips for groups of any comfort level, size, duration, location, and budget. Just let us know where you'd like to know and what you'd like to do, and we can arrange it. A pilgrimage is different than other trips. It is not backpacking, sightseeing, or a typical package tour. As the famous religious scholar Huston Smith once commented, "The object of pilgrimage is not rest and recreation or to get away from it all. To set out on a pilgrimage is to throw down a challenge to everyday life." 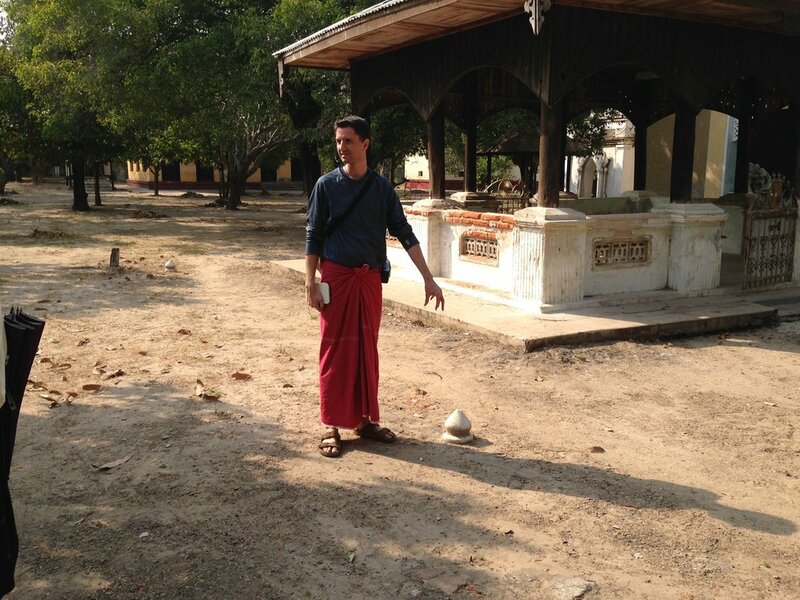 Myanmar Pilgrimage co-founder Joah McGee began writing about Burmese Buddhist sites as early as 2008. In 2013, he launched an unprecedented project to create a "Meditator's Guidebook," called Shwe Lan Ga Lay ("The Golden Path"), as this Elephant Journal article describes. Volunteer-led and freely available, the work represents years of research, interviews, site visitations, and much more. Myanmar Pilgrimage tours have been carefully crafted in the wake of this comprehensive research, providing pilgrims a rare look into the Dhamma of the Golden Land. Access to information about Dhamma practice in Myanmar has often been hard to come by in the West. For this reason, since 2012 Joah has maintained a blog and regularly shares various details through a number of social media outlets, so that yogis everywhere may benefit from certain knowledge and experiences that formerly one could only gain through traveling to the Golden Land. 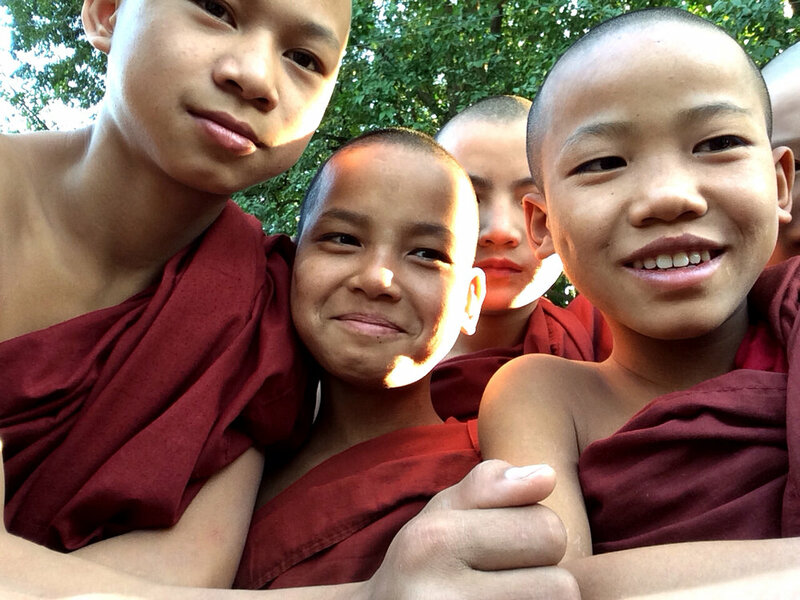 Click below to read more about Buddhist practice and life in Myanmar. Sign up with your email address to receive news and updates about upcoming Dhamma tours in the Golden Land. We respect your privacy and will not share your address with anyone else.